The Merlin Malt-G Gravel Bike is highly versatile putting the FUN back into a Functional Bike! This efficient all-rounder features a no-nonsense Shimano Tiagra 10 Speed groupset, together with mechanical disc brakes for great stopping power. The Malt-G Gravel bike comes fitted with fast rolling, gravel-friendly Kenda Kwick 35mm tyres which provide great traction while giving plenty of mud clearance between tyre, frame & fork. The Gravel Bike concept has recently gained a great amount of popularity for good reason - with this type of bike you don't have to stick to the road; the Merlin Malt-G can handle a wide variety of terrain including gravel tracks and green lanes allowing you to combine sections of road with more challenging segments meaning more of your adventures can start at your front door. The Malt-G has a full complement of mounts the bike is ready to sport mudguards and even a rear pannier – so if you want to head off on a touring adventure or simply commute to work you can, no problem. The Merlin Malt-G Gravel bike features a double-butted 6061 Aluminium frame with a comfortable, confident geometry that encourages all-day riding, a carbon fork that stops the ride feeling too harsh when you’re on the ruff-stuff and quality cable-activated disc brakes that deliver consistent, controllable braking in all weathers and riding conditions. A dependable, precise shifting Shimano 10 Speed Tiagra groupset with low-ratio gearing completes this excellent value-for-money package. Wow, the guy I spoke to at Merlin wasn't kidding when he said these are BIG bikes. I'm 5ft 11 and normally ride a 56cm but was advised to go for a 53cm frame size which was totally against my instincts. I'm glad I did as the size is just about perfect. The Malt-G has a relaxed, quite upright riding position thanks to its VERY long headtube. The frame and forks are well made and I like the colour combo and decals. It generally looks the part although the squarish downtube is a bit dated and cheapens the look a little bit. The Tiagra groupset makes it a steal for the price though and the gears were set up perfectly. Brakes are mechanical discs and dont work very well. No surprise there but hopefully they will get better as they wear in. My only major gripe is that it is described as having a full complement of eyelets for mudguards and panniers. No it doesn't! There are no fixing points near the rear wheels so fitting a rack is not straight forward. Fine if you don't want to use a rack and guards but I'm planning on doing some touring - so a star off for that. Also I found it impossible to adjust the seat angle because the seat post has a square bolt rather than a curved one, so you can't ratchet the seat angle to where you want it. All things considered though it's a very very good bike for the money. Bike arrived well packaged and was quick and easy to assemble. Everything was properly adjusted, with gears nicely indexed. First few rides have been good and the bike feels precise and comfortable, even on loose/bumpy surfaces. The only niggle I have is my right foot just catches the gear cable on occassions. I probably just need to twist my heel out a tiny bit. Overall I think the bike is great value and it will become my winter go to bike, plus use it for off road in summer. Wanted an inexpensive bike to get back on the local trails and canal paths. Having read the reviews, this bike ticked all the boxes and I haven`t been disappointed in what I have experienced so far. The bike is solid and hasn`t put a wheel wrong over a variety of surfaces, mainly very wet ones. It rolls along nicely on the road too. I wondered about Tiagra 10 speed as my other bikes have been 11 speed but I havent really noticed any difference. Braking is much more assured and controlled than rim brakes especially in the wet. Definitely a 5* bike for a really competitive price. I bought the malt-g after having a decent road bike for many years. I decided to go to gravel to have a more well rounded bike which I can journey on the road, or on cross country trips. I think this bike is well up to the job-especially for the price. The main issue I had is with the bike length, so be slightly wary with size. 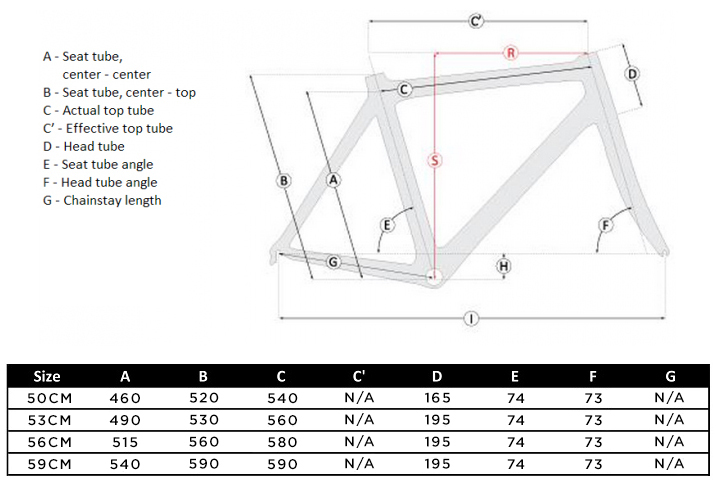 It would have been very helpful for the site to provide a rider height guide with this bike specifically because of its difference in reach to road bikes. I am 173cm and have done well with 54cm bikes for many years, yet I was a bit surprised with the length of the bike. But I have now placed a shorter stem and enjoy the steering a lot more! The bike has been great on my gravel rides and good on my road rides now. The bike is worth the money in that it provides a great base (frame, fork, and groupset), while the other elements of the bike (wheels, tyres, brakes) are a bit lower quality, but can be eventually replaced. All totally understandable for a budget gravel bike! Always great service from Merlin! Nice solid bike, grey and orange work well, lost one mark because of the Tiagra gears slipping. Possible derailleur issue. Changed tyres before using the supplied Kendas so can`t comment on these but they look better for muddier conditions so may go back to them.? Used on the road and canal towpath and zips along well on both. The bike is great and comfortable. Rides well on the roads. This bike is very cool. Comfortable geometry. Color is very nice. Frameset and fork look great.